It’s a journey from the world of art to the world of faith. 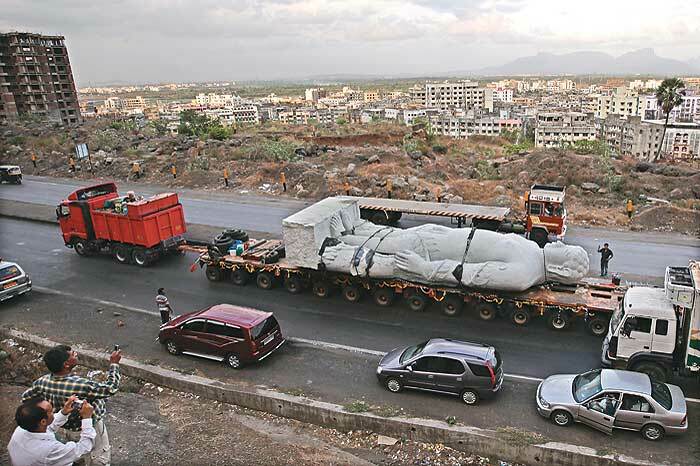 A 41.5-foot granite statue of Bahubali is wending its tedious way on a 146-wheel trailer truck from Bidadi, Karnataka, where it was made, to Songadh, a Digambar pilgrimage centre in Gujarat. As people flock around it, it’s not the artisan’s hands they marvel at; their rapture is for the lord, who they say is sui generis. 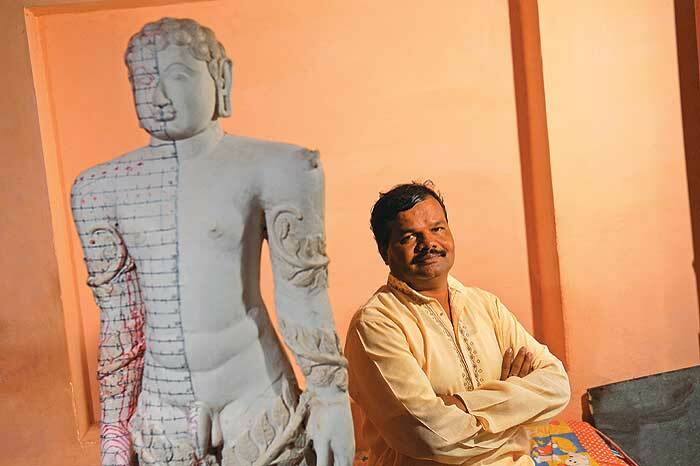 It is this swift transference of his work from the realm of the earthly to the divine that master sculptor Ashok Gudigar, who created the monolithic statue over 18 long months, is trying to come to terms with. Gudigar is likely to get many more orders to sculpt huge figures; indeed, some orders are at his doorstep already. But the question that’s lingering in the mind is this: Will this Bahubali give him a place in history? Will he be able to assert his authorship of it? It’s not that he thinks his work will be forgotten. Indeed, Gudigar believes that, as in the case of the 57-foot Gomateshwara statue in Shravanabelagola, of which this Bahubali is a replica, people will value his work a thousand years from now. But will they also read an inscription that says it was he who created the second tallest Jain statue in the world? At Shravanabelagola, there is a reference to the sculptor’s patron, Chavundaraya, but no mention of the sculptor (said to be Arishtanemi). 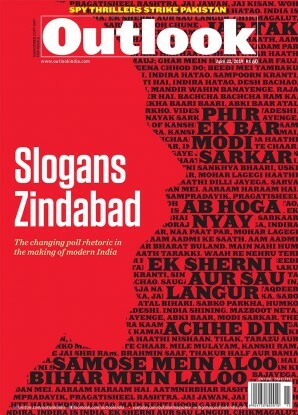 So, will Gudigar, in this more individual-centred era, be allowed to put his name to it? He is unsure. “If permitted, I’d definitely like to do it,” he says. The trust initially wanted a 51-foot statue. But it scaled down its requirements after consultations with the Gujarat government, which, according to Gudigar, was not sure if the bridges leading to Songadh would survive the weight of the statue during transport. Given these uncertainties and risks, the height of the statue was reduced to 41.5 feet, and correspondingly, its width and depth too. Sculptors have to make allowance for the lower parts of a large statue seeming bigger to a viewer than the upper. Bringing a megalith to life is indeed, as Gudigar describes it, a very slow process. The planning stage lasted four months because of the sheer complexity of the task. When a sculpture of this size is made, its base is at eye level and would seem bigger to the viewer than the head and chest. Sculptors work to avoid this effect and achieve a visual, though not actual, proportionateness: they make complex calculations on the basis of which the upper parts of the statue are made slightly bigger than those below. Arriving at the exact measurements for each part takes a long time. “It has to be perfect,” says Gudigar. “There is no chance of correcting any mistakes later.” Finally, the job is done, and the Bahubali will stand on a hillock in Songadh on a pedestal 40 feet high and large enough for 600 worshippers. Meanwhile, in this age of competitive statue-building, Gudigar finds himself greatly in demand as a creator of divinity from stone. A Christian organisation has approached him with an offer to commission a 35-foot statue of Christ to be erected on the outskirts of Bangalore; he has also been tasked with carving a 30-foot Bahubali for a site in Tamil Nadu. And, trust deficit repaired, his original Jain patrons have also come calling again—this time with a request for a 52-foot Bahubali. One way or the other, it seems this master sculptor will get his place in history.